The Leo T. McCarthy Award is presented to an individual whose work makes a difference in the lives of people most affected by injustice. Like the award’s namesake, winners inspire others to lead, devote their energy to equity and justice and maintain the highest ethical standards in their personal and professional lives. This year’s celebration illustrates the connection between change makers from campus to city hall to state and national champions of public service and the common good by bringing together university community, friends, supporters and civic leaders to honor this year’s awardee. 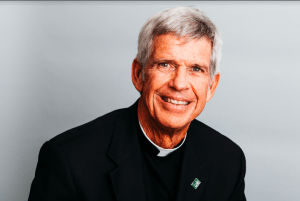 2019 Leo T. McCarthy Award recipient – Reverend Stephen Privett, S.J. Reverend Stephen Privett, S.J., the recipient of the second Leo T. McCarthy Award for Public Service, is recognized as the co-founder and champion of the McCarthy Center for Public Service and the Common Good—USF’s nexus for connecting the University and community for the beneﬁt of both. 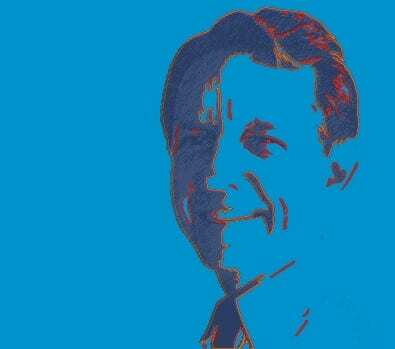 Please join us in honoring Stephen A. Privett, S.J. on March 14. Learn more about this year’s event HERE! This entry was posted in Academic Year 2018-2019, Leo T. McCarthy Center (LTMC), University of San Francisco and tagged Leo McCarthy Award, Stephen Privett. Bookmark the permalink.